Skilled Writers Get Editors: Students Get ____? On occasion, I hear a statement that captures how much the classroom differs from the real world. Overmeyer was speaking at the session to a roomful of educators, attending the session on “Grammar Matters: Promoting Engagement, Strategic Instruction, and Reflection Using Mentor Texts.” His statements highlighted the contrast between the support the best professional writers receive and the support an average student-at any grade level-receives is worth looking into for a moment. First, in the real world there are different roles editors who specialize in stage of writing. Here is a description of editors, and how these roles are represented (or not) in the writing process in schools today. Acquisition Editor: This editor selects books for a publisher, and stays with an author in prepping a book for publication. Counterpart in education: The teacher may submit a piece for “publication” in a literary magazine, a writing writing contest, or hang student work on a bulletin board. Developmental Editor: This is the writing coach, or in some cases, the ghost writer, who supports the writer in moving the writing forward. Content Editor: In large publishing houses, there are Content Editors who review all writing. Copy Editor: This editor reviews grammar, punctuation, fact-checking, spelling, and formatting. 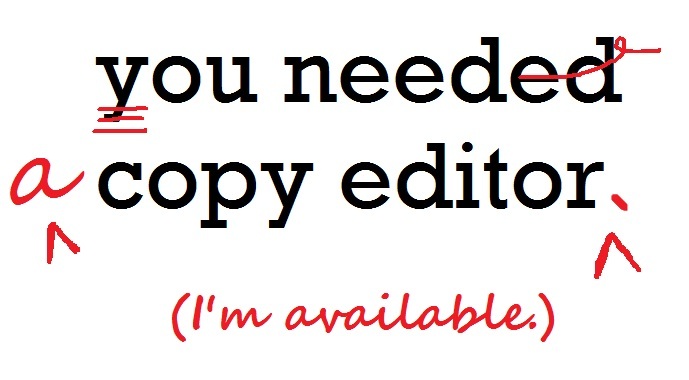 There are Copy Editors for the different forms of publications: newspaper, brochures, books, etc. Some publishers use a line editor as well. Proofreader: A proofreader reviews writing after an editor. Counterpart in education: teacher grading the final product. In the real world, there is an editor for every stage of the writing process. A book will go through an editorial review by a different specialist at LEAST four times before publication. In contrast, a student will receive editorial feedback from one single source….the teacher. He argued that there is an assumption by educators that the students should be able to produce “perfection”. Overmeyer’s point was that student writing should not be used to measure perfection, but used instead to measure a student’s improvement. Contributing to the drive for perfection Is graded writing. Grading is a diagnosis, an informal or formal assessment of a particular skill set. Because graded writing is diagnostic, students are expected to perform without assistance in order to produce quality writing. More often than not, teachers do not step in to help with writing because they want to know how well a student can perform on his or her own. Overmeyer’s comment, however, points out this fallacy of autonomy, the false assumption that because a student has been taught particular skills in writing, they should be able to produce correct writing independent of support. Overmeyer’s reference to the enormous amount of support an adult writer receives in the real world stands in sharp contrast to what students are expected to do. For those adults wishing to enter the field of writing, there are a number of professionals willing -often for a price- to help anyone to become a published writer. The best way to improve student writing is through conferencing, and Overmeyer has detailed how to integrate the different kinds of conferring that can happen in the classroom in his recent book, Let’s Talk. During the presentation, Overmeyer promoted the role of the teacher as a writing coach, reminding teachers to “be human” when they do provide their feedback to students. He provided an example of a student who chose to wrote about the recent death of a relative.